Xhelal Neziri is experienced investigative reporter and analyst. Since 2008 he has been representing Danish SCOOP project in Macedonia, coordinating national and trans-national investigative stories. At the moment Neziri is co-founder and director of Centre for Investigative Journalism SCOOP-Macedonia based in Skopje, and member of International Advisory Board at Journalismfund.eu based in Brussels. Zaklina Hadzi-Zafirova is a freelance journalist with over 15 years of journalistic experience, mainly in daily and weekly newspapers, as well as worldwide. 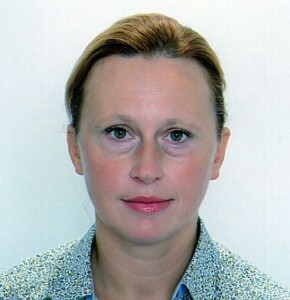 She is one of the founders of the Center for Investigative Journalism SCOOP-Macedonia in 2011, where she further continues and promotes the principle of Danish investigative network of journalists (www.i-scoop.org), being its representative along with her colleague Xhelal Neziri. For the last two years Hadzi-Zafirova has been actively engaged in promoting the principles of professional journalism through training and lectures to younger journalism students at public and private universities in the country. She is a representative of SCOOP Macedonia in the International Consortium of Investigative Journalists-ICIJ, and a member of the International Advisory Board of Journalismfund.eu based in Brussels. Aleksandar Bozhinovski is Macedonian award winning journalist with nearly 20 years of professional experience. He started as a court reporter back in 1994, while studying Journalism College. With time he progressed to investigative reporter which key areas were police, army, organized crime and corruption. While studying Bozhinovski first met with investigative journalism with lectures from Denis Hamilton, in those days, investigative reporter at LA Times who was visiting teacher in Skopje University. He also atended some NGO work about human right with people from National democratis institute from Washington. 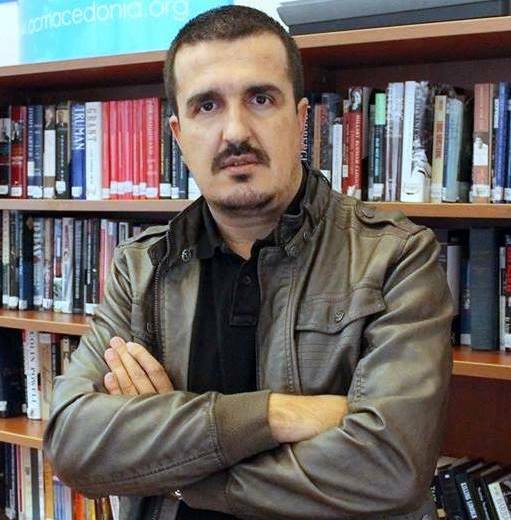 During he’s work in goverement owned Nova Makedonija daily (1999-2003) he wrote stories for Alternative information network, together with 20 other journalist from former Yugoslav republics, run by famous journalist Kim Mehmeti and funded by Council of Europe. Then, Bozhinovski was starter journalist in new daily Vreme were he achieve several rewards, like journalist of the year (for 2005) of Vreme, then Best investigative story from Danish sponsored Macedonian institute for media. This reward was for he’s best story to this date, known as Khalid el Masri case. 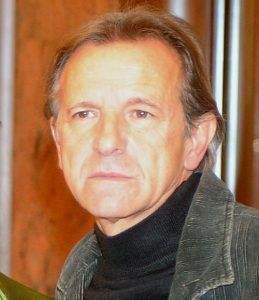 Bozhinovski was the first journalist in the world to reveal a case of extraordinary rendition (kidnaping suspects for terrorism by intelligence agencies). Story was taken by NY Times and the spread around the world. German TV, ZDF teamed with Bozhinovski in 2005 for more investigation on Masri case.In this time, Bozhinovski start collaboration with Organized crime and corruption project, a journalist organization funded by USAID in Washington consisted of investigative journalist form 10 other countries that jointly do stories on subject of organized crime and corruption. Bozhinovski work of several stories for OCCRP and in 2010 was finalist for Daniel Pearl award on Global investigative journalist conference held in Geneva. He also did investigation for Global Integrity. Bozhinovski also worked investigations for weekly Forum, daily Den and weekly and portal Republika. 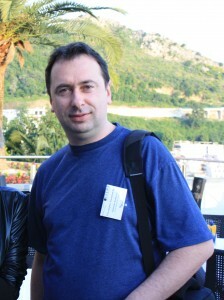 In 2011 he, with Zaklina Hadzi Zafirova and Xhelal Neziri, founded Center for investigative journalism SCOOP Macedonia. During 2013 he was project manager of National Endowment for democracy project: Raising awareness about corruption trough investigative reporting. Goran Lefkov is an investigative journalist who started working in journalism in 2008. His beginnings as a journalist were in the weekly Capital and actively participating in the economic portal Total. He wrote his first investigative stories in the portal Total. He participated in the beginnings of publishing the daily Capital. He continued investigative journalism in the daily newspaper Business. From 2011 to 2013 he worked for TV Star in Shtip. 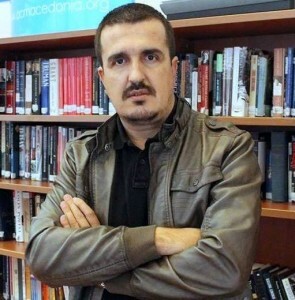 He has been a member of the Center for Investigative Journalism SCOOP Macedonia and Inbox7 since 2013. He has been a Reuters’ scholar for economic and political reporting from Southeast Europe since 2013. Zoran Ivanov is a doyen of Macedonian journalism. He started his extremely rich professional career as a journalist at Radio Skopje and continued as an editor and editor in chief in various media houses as Macedonian Radio – Radio Skopje, Radio Deutsche Welle, Cologne, Channel 103, MTV, TV Sitel, “Utrinski Vesnik”, TV Alfa etc. He continued his professional engagement as a program director of TV 24 News. He is the founder of the state news agency MIA, where he was director and editor in chief. He is also the founder of the Radio Channel 103. He was also government spokesman from 1997 to 1998. During the period 2007-2010 he was communication and media advisor and government adviser in the cabinet of the then President of Republic of Macedonia. He has won numerous journalism awards, including: yearly awards in Radio Skopje and Macedonian allied radio stations for journalistic achievements; the award “Krste Petkov Misirkov” of the Association of Journalists of Macedonia; the annual journalistic award of the Macedonian Radio and Television; the award “Krste Petkov Misirkov” – journalist of the year by the Association of Journalists of Macedonia; the annual jubilee journalistic award for the 50th anniversary of the Macedonian Radio Television. He has received the award “Mito Hadzivasilev-Jasmin” for journalism three times. In 2012 he received the award “Krste Petkov Misirkov” for lifetime achievement by the Association of Journalists of Macedonia. He has been agency journalism lecturer in postgraduate studies in journalism at the University “Ss. Cyril and Methodius “- Skopje and journalism trainer at the Macedonian Institute for Media – MIM. He is an author of numerous publications such as: two-volume book “Ambient”, “Information and media” – in the “Culture of Peace” by Friedrich Ebert, “Ethics in journalism, ethics in the media business,” “Agency Journalism” – a script for postgraduate studies at the University “Ss. Cyril and Methodius” and co-author of the textbook “Writing for electronic media”. He loves parachuting. He has been president, vice president and secretary general of the Aeronautical Federation of Macedonia as well as selector and coach of the national parachuting team of Macedonia and international parachuting judge with FAI license. He initiated the construction of sport airport Stenkovec and he has been chairman of the aero-club “Yuri Gagarin” – Skopje in two mandates. He has also organized a few air shows and sporting domestic and international aviation competitions. He is a pilot of sport aircraft and aircrafts and has realized 2003 parachute jumps. He was a state representative in parachuting in the period 1971 – 1976. He has won 60 medals in Macedonia and within the SFRY in parachuting, and 14 of the prestigious international parachute games. He has been the athlete of the year by the Aeronautical Federation of Macedonia four times. He has also been a state champion in parachuting four times. He has received the “Golden badge with 3 diamonds” – the highest international recognition of World Air Sports Federation – FAI, and the international highest award of the World Air Sports Federation – FAI for 2006 – “Paul Tissandier” for universal contribution in the development of civil and air sports and special results in sport parachuting. Next Next post: The state renovates offices with money from the companies?! Brigitte Alfter, Journalismfund.eu A never ending story Critical voices are a necessity ..
7.4 million Euro spent for travel expenses: MP Naumovski charged ..
Vasko Naumovski, MP in the Macedonian Parliament for the constituency .. Originally published on TV Iris A company from Virgin Islands wants .. The South East Europe (SEE) Coalition on Whistleblower Protection held ..